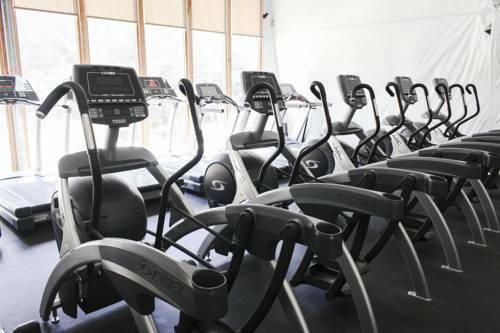 Our gyms were designed for the "Biggest Loser" TV show and have state-of-the-art cardio and weight equipment. Take a swim in the heated lap pool even on the coolest mornings. Yoga, Zumba, or other fitness classes are offered in the fitness gym at no cost. Use a kayak or paddle board for free at the Calamigos Beach Club located at Coral Beach - the closest sand to Pepperdine's campus. It also features great places to study with views of the beach. Or, play pool while grabbing lunch on your Calamigos meal plan. Not only does your house/cabin have great wifi but you can study in many of the common areas of the ranch with great speeds. Grab a book and cuddle up in a leather chair by the fireplace or order a bottomless coffee while sitting on a lazy chair of the Malibu Cafe island. The average cost of water, sewer, gas, electricity, and garbage for our students is $100 per month. We include this with your resort fee. Residences will come with a mounted TV and ChromeCast to watch your Netflix or Hulu, but no cable TV service is provided. Student Program Direcotors plan fun events each month that have included Disneyland, 6 Flags, Concerts, and Haunted Mazes. There are also lots of fun events right at Calamigos such as hiking, theme dinners, and game nights. In the past, Pepperdine or Calamigos has charged for laundry machines at Calamigos but for this next year, all laundry machines will be included for free with the resort fee! Each room comes fully furnished with a bed, desk, chair, and dresser. Most private rooms have queen beds and doubles have extra long twin beds. Add all of these up indivually and you would end up paying over $500 per month. The Calamiogs Resort Fee is only $199.00 per month. We are running two early bird specials so that if you sign a lease by February 1, we will cut the Resort Fee to $99.00 and if you sign by March 1, we will cut the fee to $149.00 per month. Students at Semester by the Sea are also able to enjoy all the amenities of the resort. Some have a cost like the spa packages, and others like a hike in the oak trees is just free to enjoy.